PARK CITY, UT--(Marketwired - December 13, 2016) - Columbus Pacific Development announces its newest proposed mixed-use development -- a retail, hotel and residential destination set to elevate Canyons Village to new heights. The property, referred to as RC-17/18 in the current master plan, will become a new core gathering place in the heart of Canyons Village. Located directly adjacent to the planned Skier Plaza and expanded high speed chair lift, this development will have seamless access to Park City Resort's 7,300 acres of skiable terrain and 400 miles of scenic hiking and mountain biking trails. The property will provide a new après ski environment with a host of new stores, cafes, bars and restaurants situated along the enlivened Village Walk. 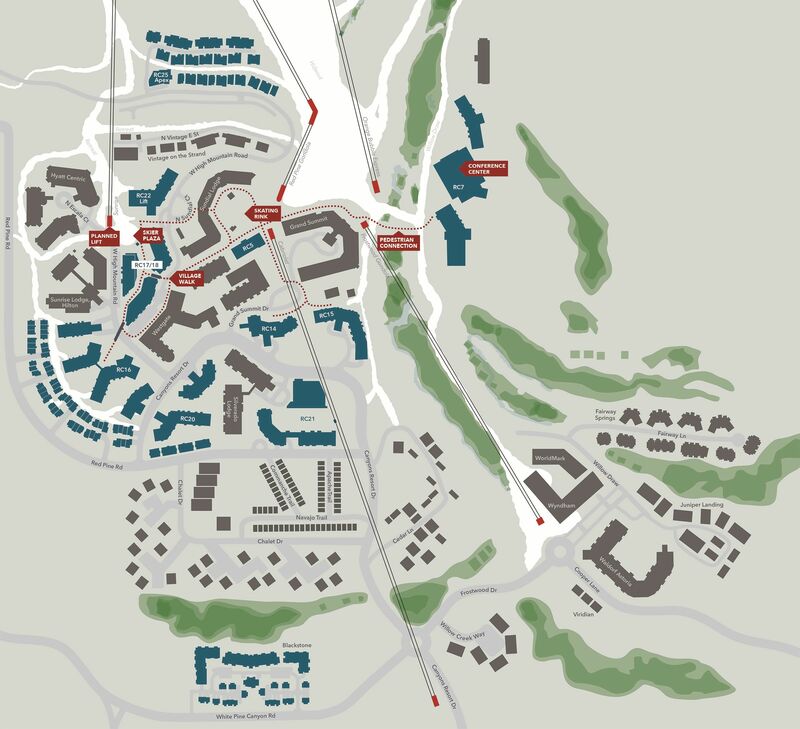 "Columbus Pacific is thrilled to be part of the transformation of Canyons Village and to develop one of the most desirable locations remaining at Park City Resort," says Tony Tyler, Partner and Senior Project Manager. "We will use our vision and experience in retail, residential and commercial development to create the go-to destination to stay and play in the greater Park City area." 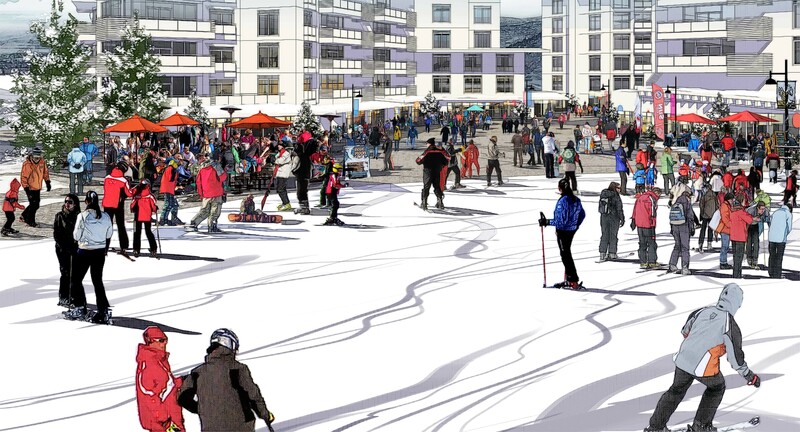 The development will create a central, walkable destination with immediate access to the existing retail, dining and activity offerings in Canyons Village, as well as two nearby chairlifts and gondola. The contemporary design will elevate the Canyons Village aesthetic while creating a unique experience and multiple points of engagement for guests and residents of Park City Resort. Other new offerings from Columbus Pacific in Park City include Apex Residences, a collection of 63 exquisitely crafted three to five-bedroom residences situated at the highest elevation in Canyons Village. Homes, ranging from 2,080 to 3,800 square feet, and private, slope side amenities capture sweeping village and mountain views. In addition to Apex, Viridian features 25 contemporary one to four-bedroom residences, ranging from 770 to 2,800 square feet, nestled along the 11th fairway of the Canyons Golf Course, steps from the Frostwood Gondola. Also within Canyons Village, Replay Resorts' newest development, Lift, offers 61 fully-furnished residences featuring 1, 2 ,3, 4 and 5 bedroom units with spectacular mountain views. 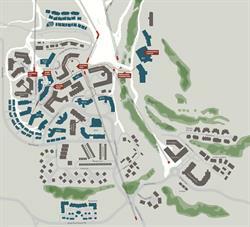 Tyler adds, "With Apex Residences, Viridian and our new mixed-use development at the base area, Columbus Pacific has the unique opportunity to enhance the long-term vision for Canyons Village, one spectacular development at a time." THIS IS NEITHER AN OFFER TO SELL, NOR A SOLICITATION OF OFFERS TO BUY, ANY PROPERTY. SQUARE FOOTAGE NUMBERS ARE APPROXIMATE AND ARE SUBJECT TO CHANGE WITHOUT NOTICE BASED ON FINAL PLANS. IMPROVEMENTS AND AMENITIES DESCRIBED HEREIN ARE CONCEPTUAL ONLY AND ARE NOT GUARANTEED AND MAY NOT BE COMPLETED. NEITHER SELLER NOR SELLER'S AGENTS ASSUME RESPONSIBILITY FOR THE ACCURACY OF THE INFORMATION CONTAINED HEREIN.